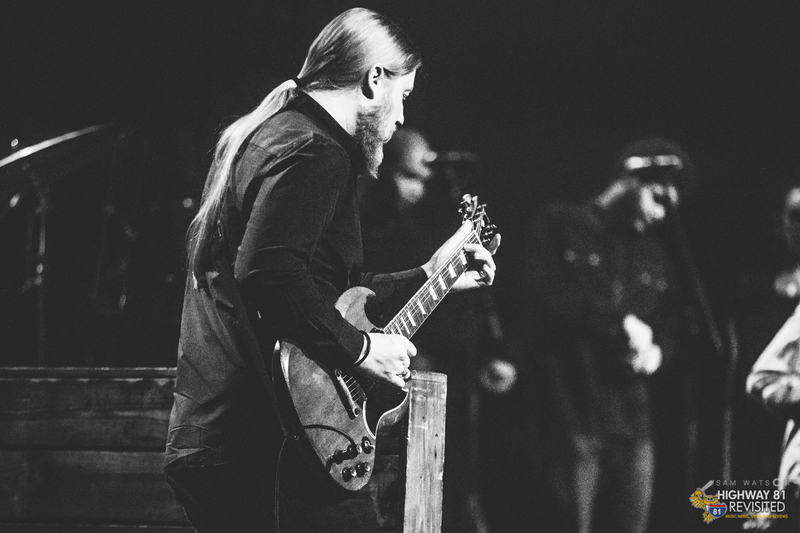 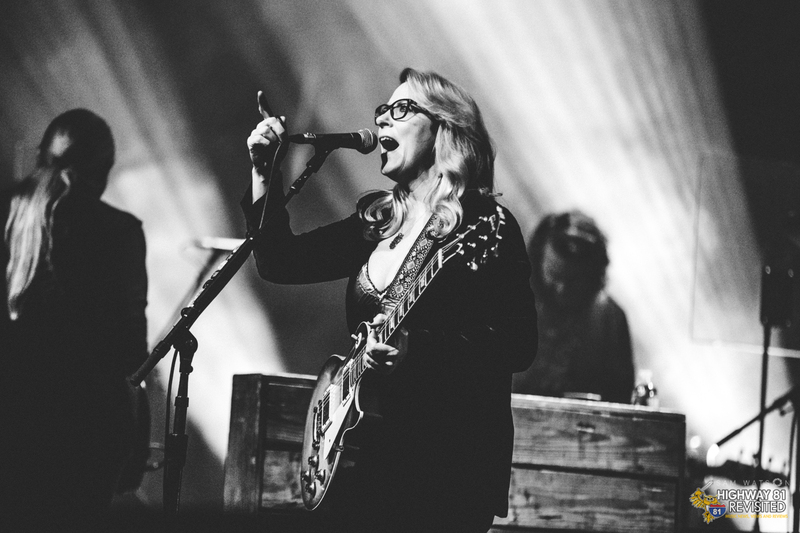 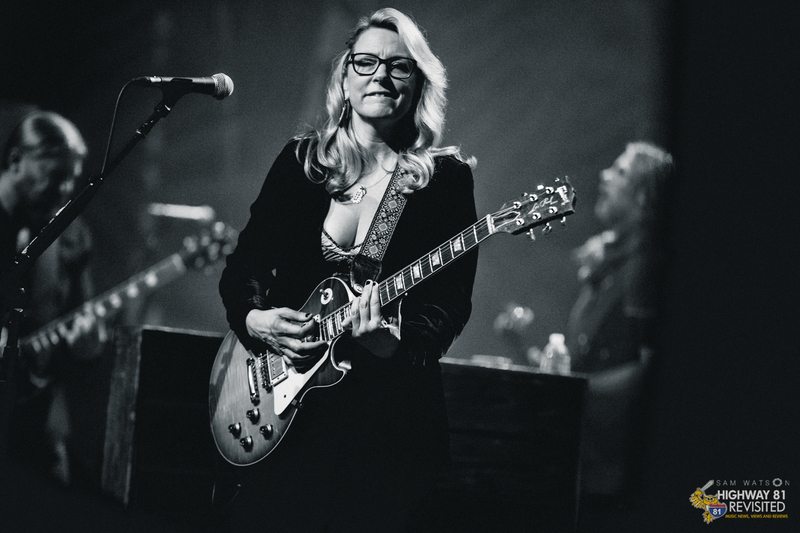 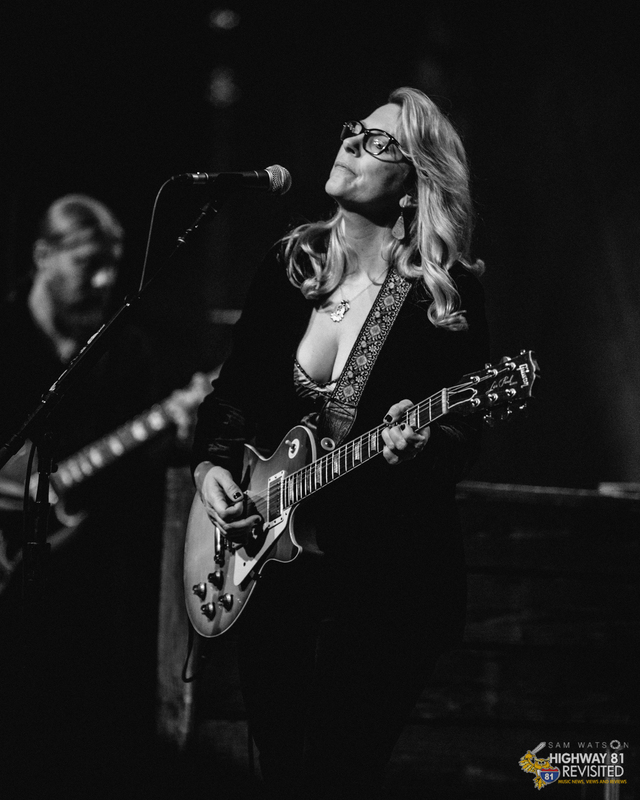 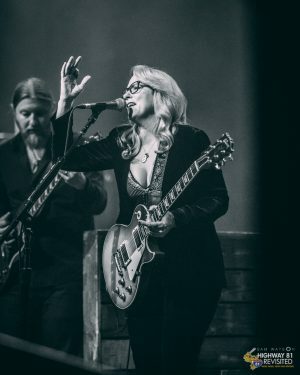 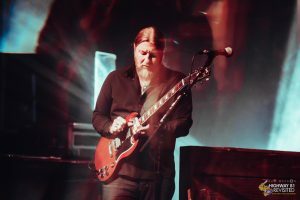 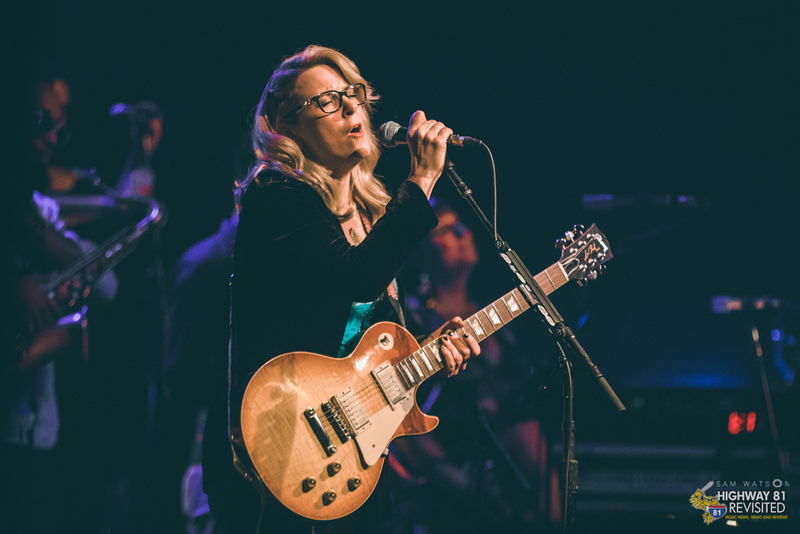 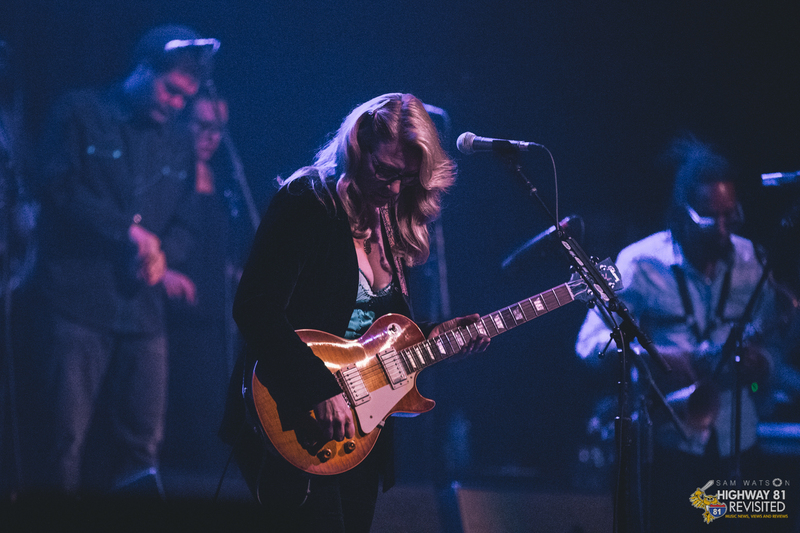 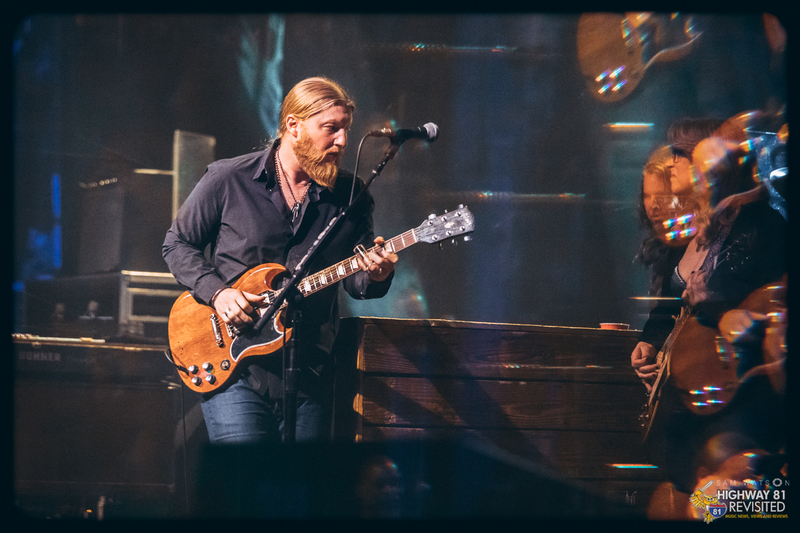 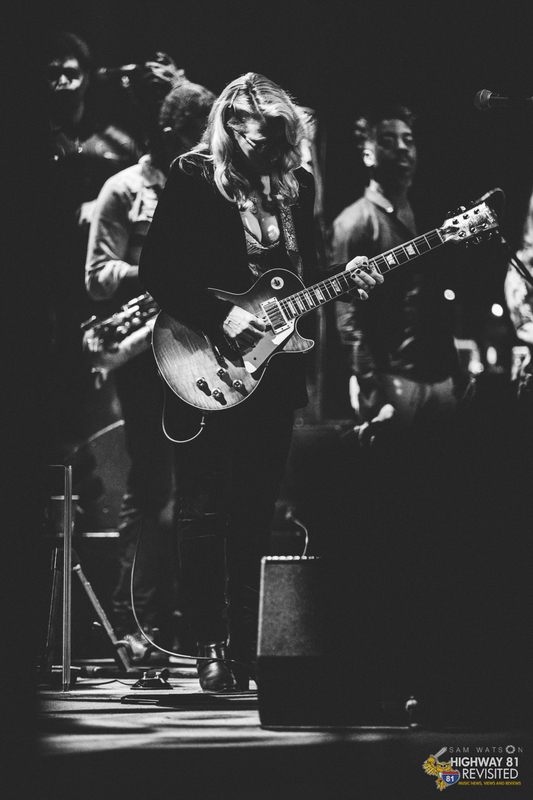 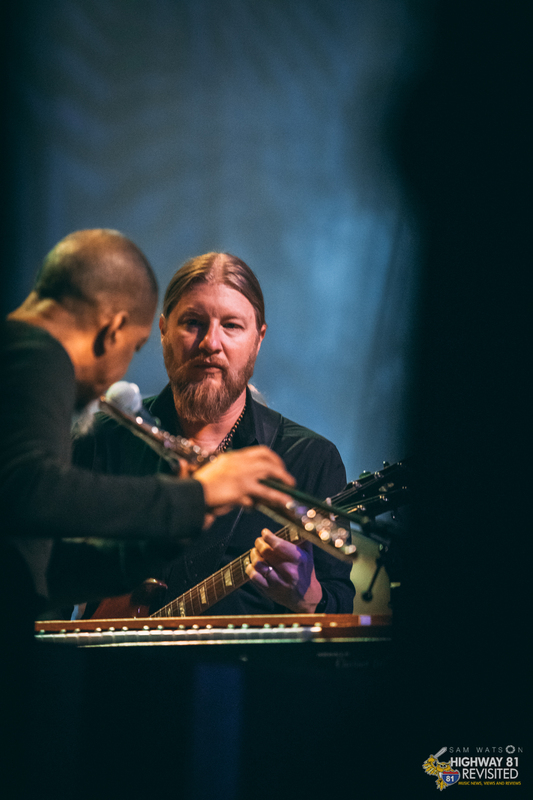 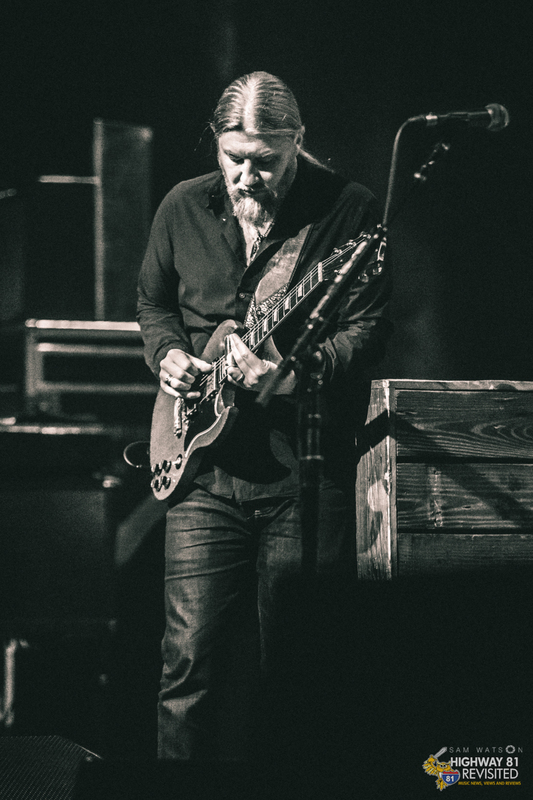 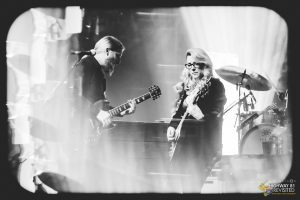 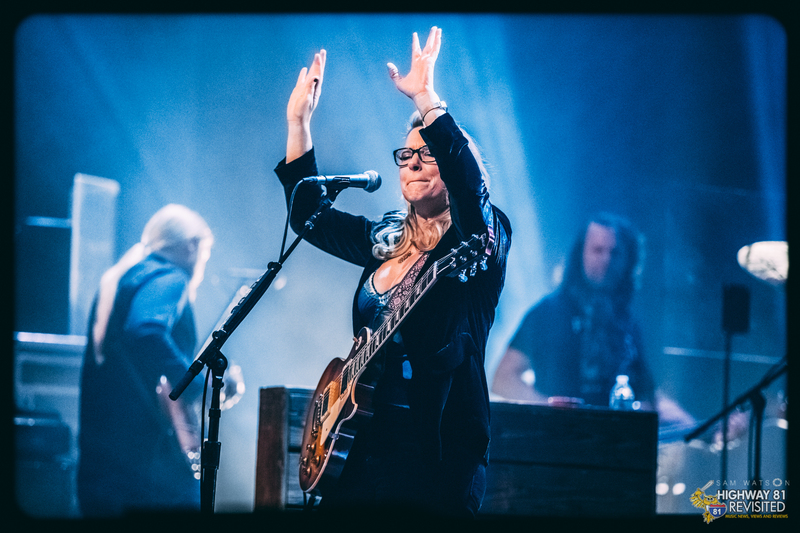 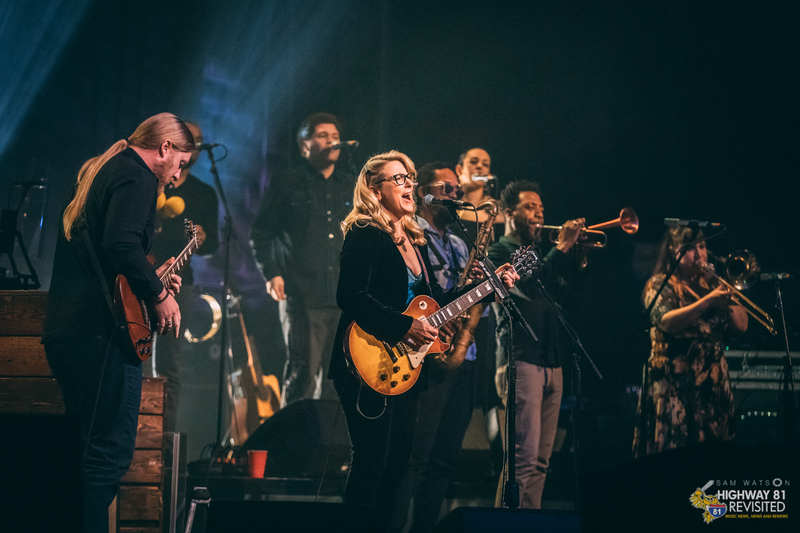 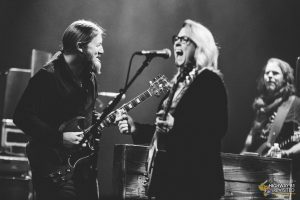 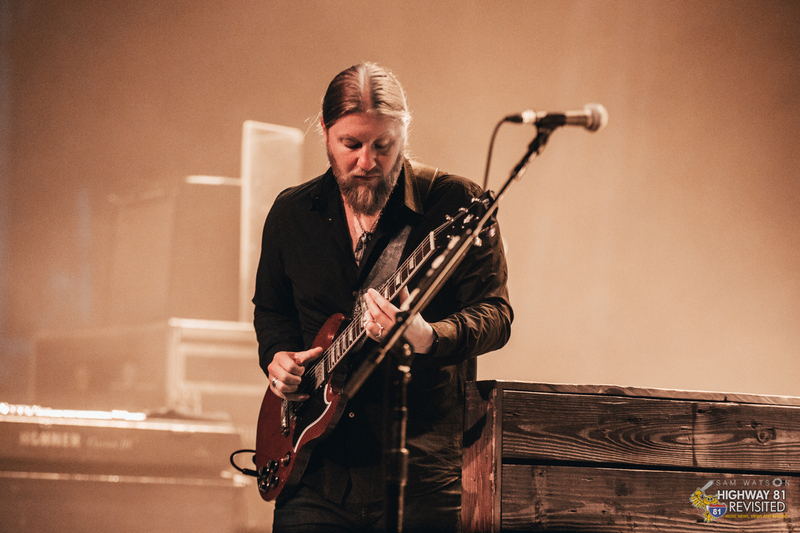 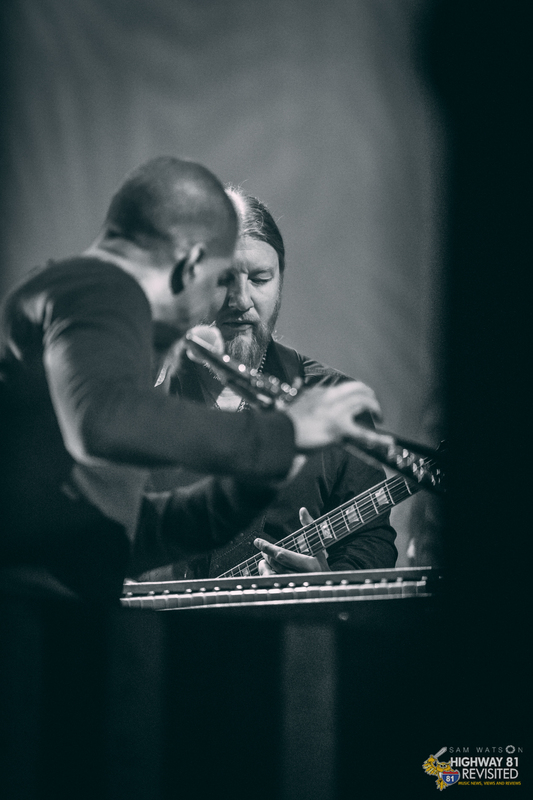 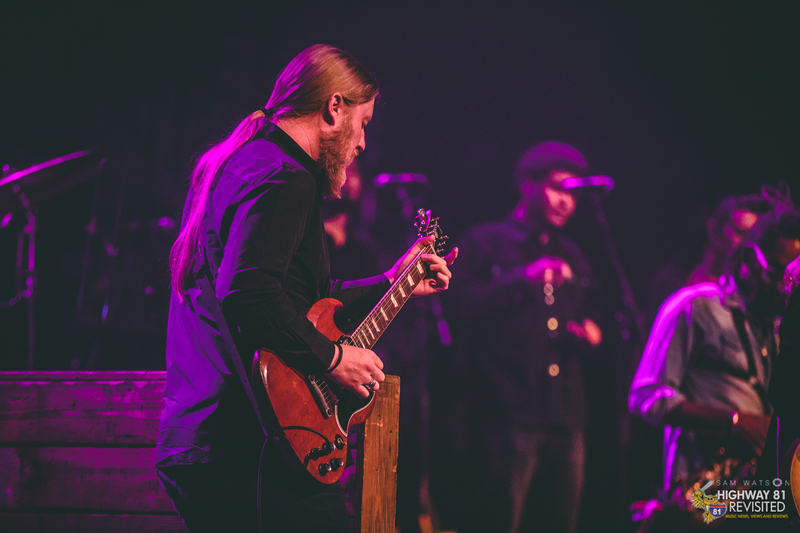 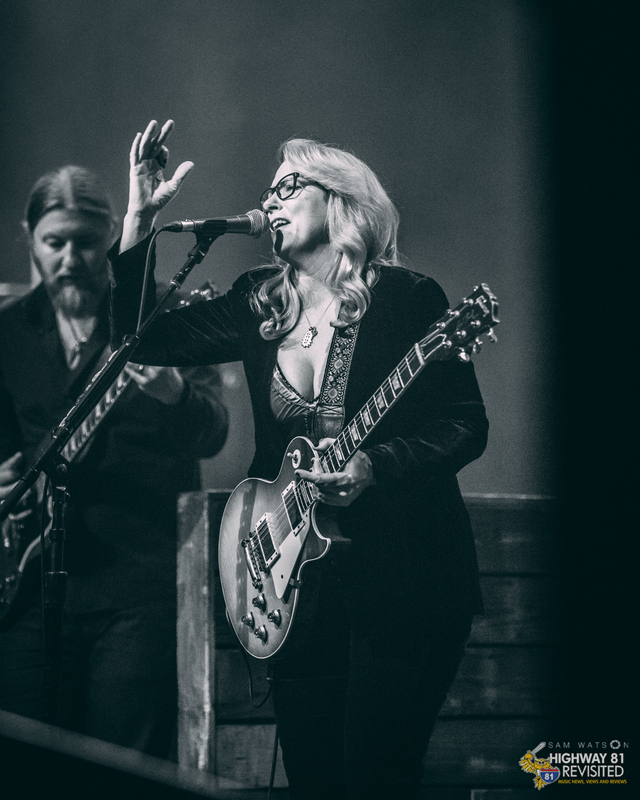 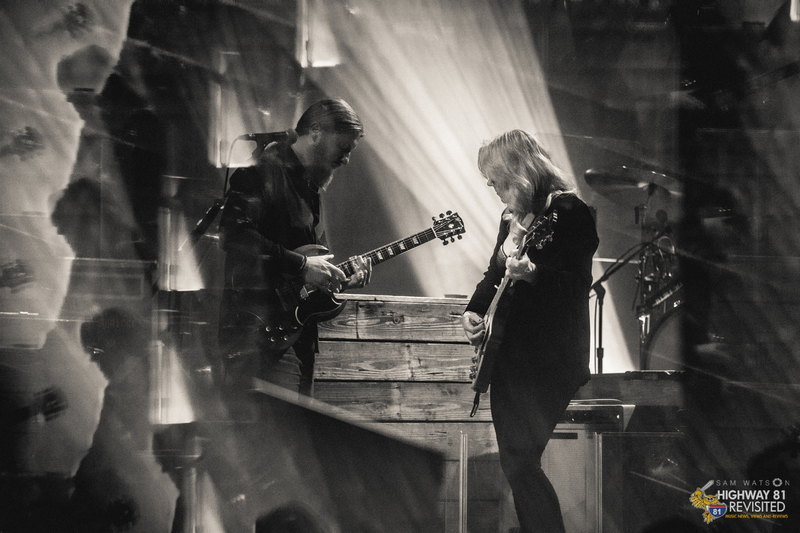 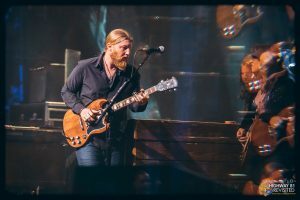 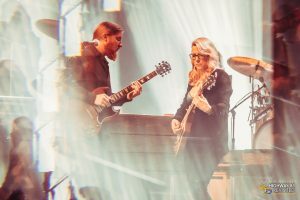 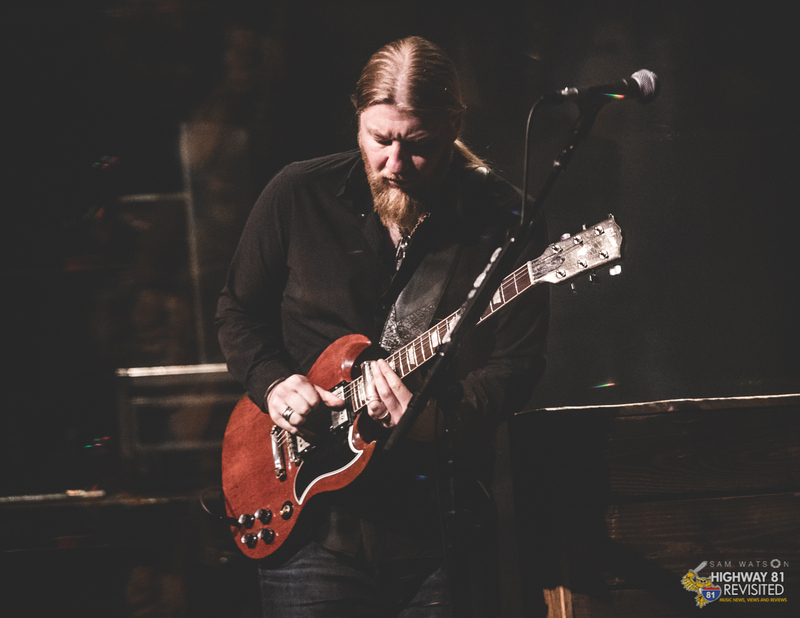 WILKES-BARRE, Pa. — When the 12-member Tedeschi Trucks Band re-emerged to the F.M. 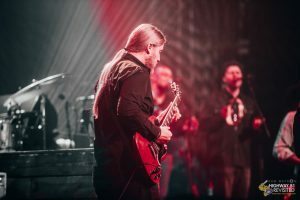 Kirby Center stage to cap an energized, nearly two-hour, sold-out performance, it brought along an extra guitarist, adding to an already-crowded stage of musicians. 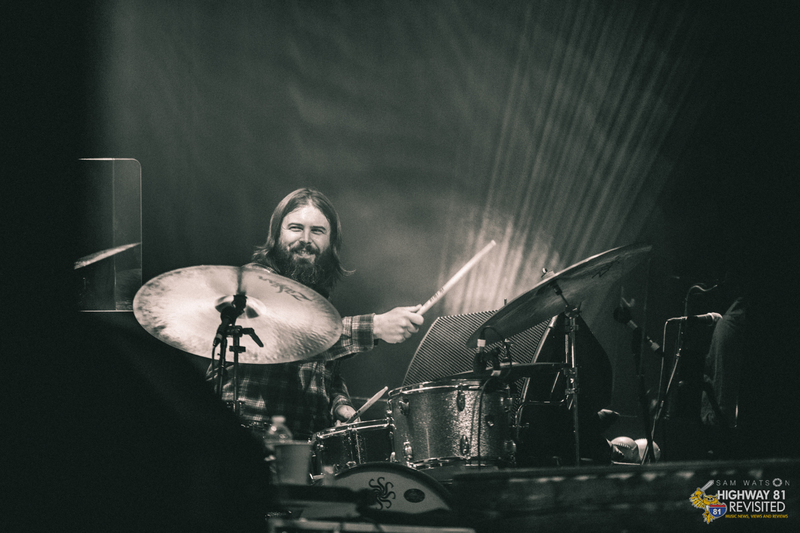 Jon LaDeau of Brooklyn-based The National Reserve — the night’s opening act — joined Tedeschi Trucks for a 10 minute-plus, jam-filled encore cover of the Ashford and Simpson-penned “Let’s Go Get Stoned,” a 1960s hippie anthem recorded by both Ray Charles and Joe Cocker, who performed the song at Woodstock in 1969. 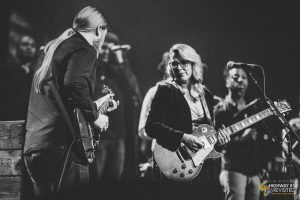 The boyish LaDeau wore an ear-to-ear grin as he stood center stage exchanging riffs with Derek Trucks. LaDeau looked both somewhat starstruck and barely half the age of Trucks, the world-famous blues slide guitarist who is now 38 — believe it or not. And why not? 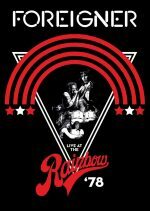 Trucks, the boyhood prodigy who played over a decade in the Allman Brothers Band alongside late uncle and drummer Butch Trucks, is certified rock royalty. 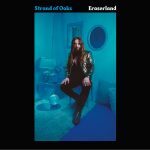 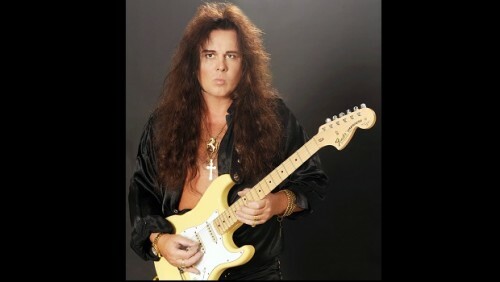 Trucks was once voted one of Rolling Stone magazine’s top 20 guitarists of all time. After the show, LaDeau revealed he had never met anyone from Tedeschi Trucks Band before taking the stage to open for the group last Thursday night in Wilkes-Barre. 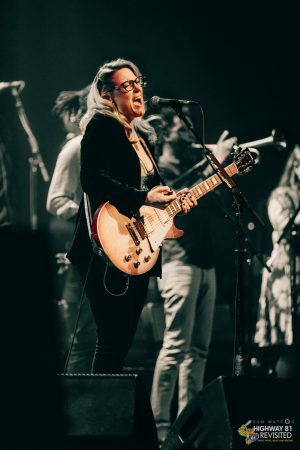 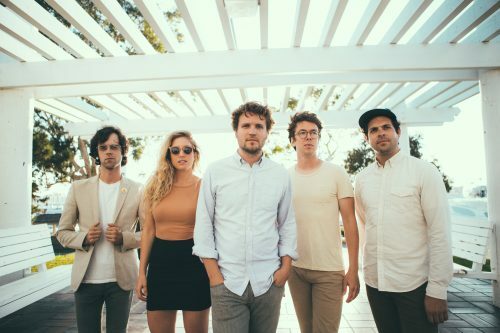 LaDeau said The National Reserve was asked to open for the band a couple weeks prior to the Feb. 8 show at the Kirby. “I’ve been inspired by Derek’s playing and stage presence since I was very young, so it was a thrill to play a song together,” LaDeau said via email. While it is rare to witness guitar greatness like that of Trucks’ — regardless of genre — Trucks seemed slightly off his A-game Thursday night at the Kirby. 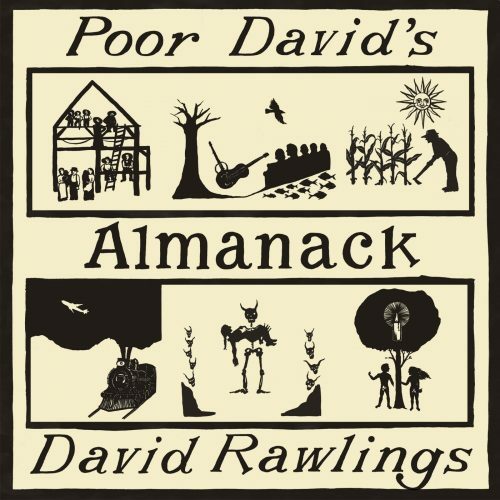 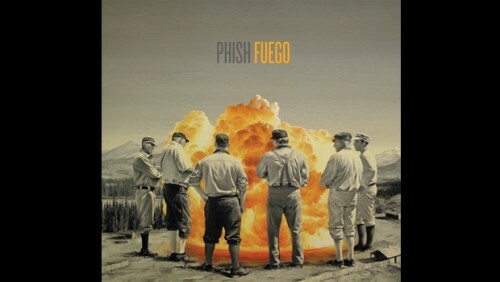 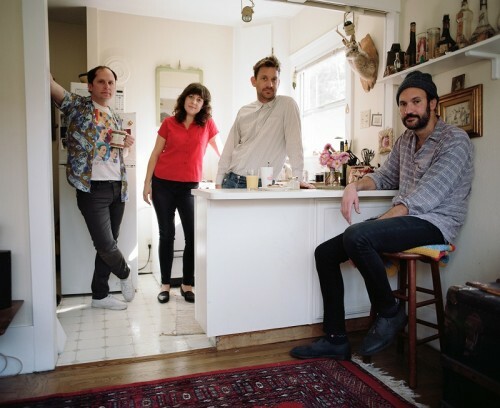 Maybe it was just that Trucks, who rarely speaks into a mic on stage while letting his guitar do his talking for him, was just warming up during the opening night of a winter touring leg through the Mid-Atlantic states, which includes multiple-night stands in Washington, D.C. and New York City. 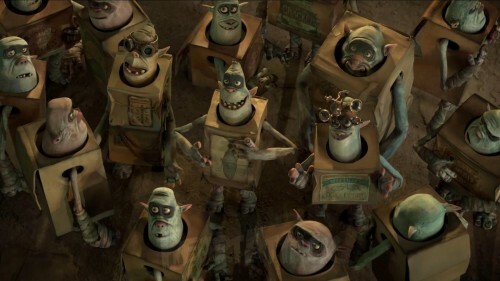 Maybe expectations were too high. Maybe Trucks was simply allowing his bandmates to showcase their talents. 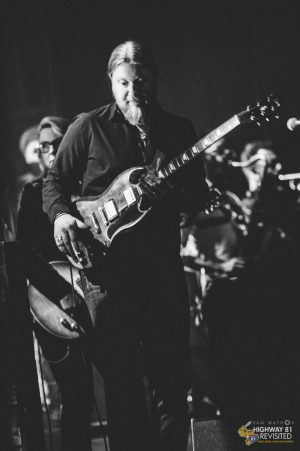 Whatever the case, Trucks was clearly understated in his performance at the Kirby. 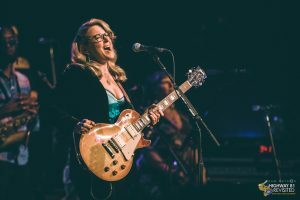 But his wife and band partner, Susan Tedeschi, picked up the slack. Tedeschi’s solo drew the night’s biggest standing ovation — hands-down — from the crowd inside the 1,800-seat theater in downtown Wilkes-Barre. That B.B. 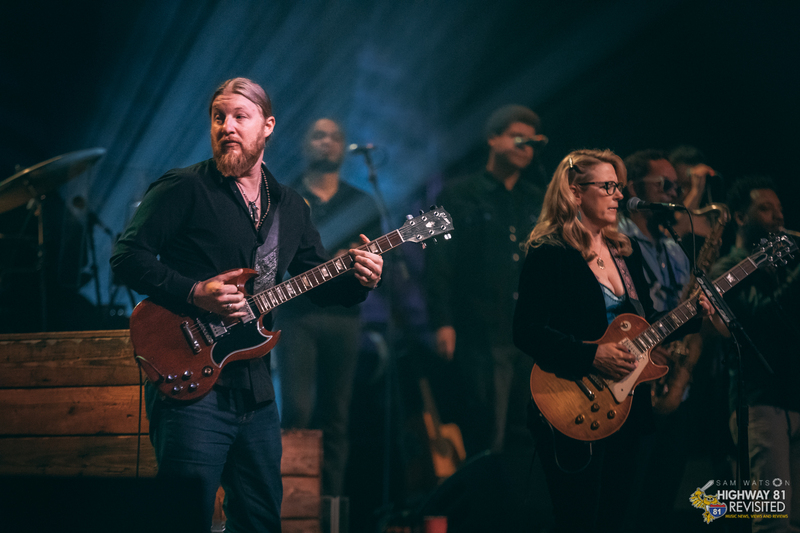 King cover followed a rendition of late country legend George Jones’ “Color of the Blues,” during which most of the band cleared the stage, leaving Tedeschi with her guitar to harmonize alongside two of the band’s three backing vocalists — Mike Mattison and Alecia Chakour. 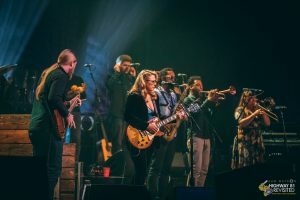 TTB, which also includes a three-person horn section, a pair of drummers, Kofi Burbridge on keyboards and flute and Tim Lefebvre on bass, played several originals during a 13-song set, including a powerful “Midnight in Harlem,” which has become the band’s hallmark original that is rarely left out of a TTB setlist that changes nightly. 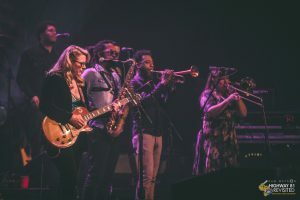 Saxophonist Kebbi Williams brought a unique intro to “Midnight in Harlem” with about a three-minute solo during which Burbridge joined in on flute while Trucks meticulously fidgeted with his guitar at an amp to tune up for a perfect sound. Mattison, who co-wrote “Midnight in Harlem” with Tedeschi, emerged from his riser at the rear of the stage to exchange gripping harmonies with Tedeschi during the song. 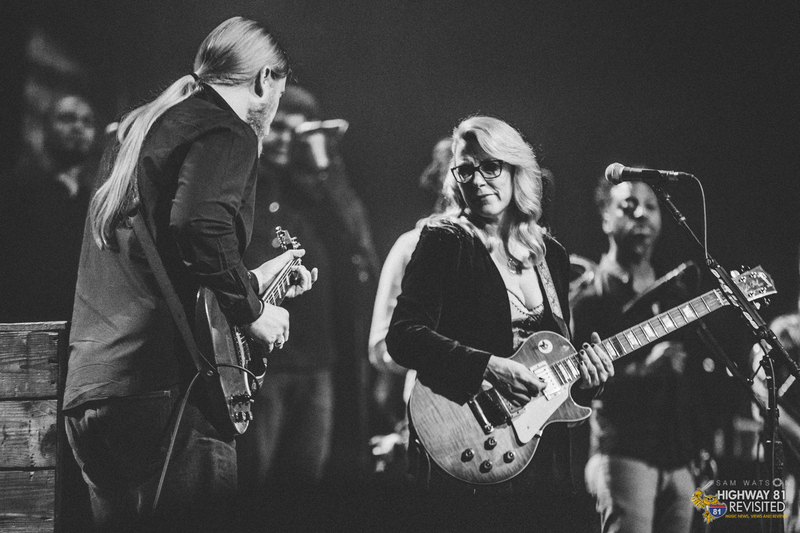 TTB also drew from Tedeschi’s solo catalog, performing “Butterfly,” from her 2008 “Back to the River” album. Tandem drummers Tyler Greenwell and J.J. Johnson culminated “Idle Wind” from TTB’s 2013 “Made Up Mind” album (2013) with dueling drum solos to end the band’s Kirby set, leading into the encore. 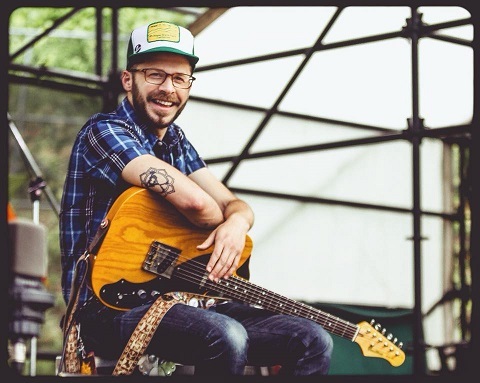 The National Reserve, a five-man Americana band that will return to northeast Pennsylvania for the four-day Briggs Farm Blues Festival in July, warmed up the crowd Thursday with a 45-minute opening set, during which singer-guitarist Sean Walsh admittedly lost track of time. 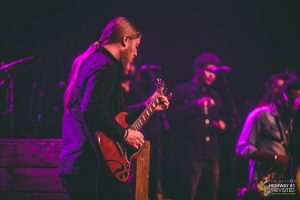 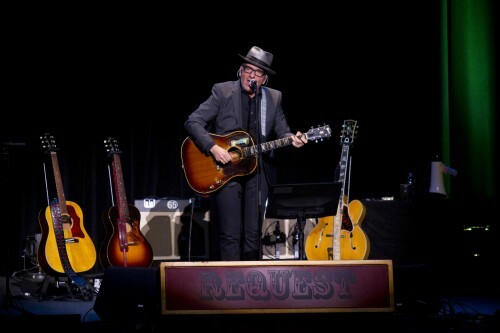 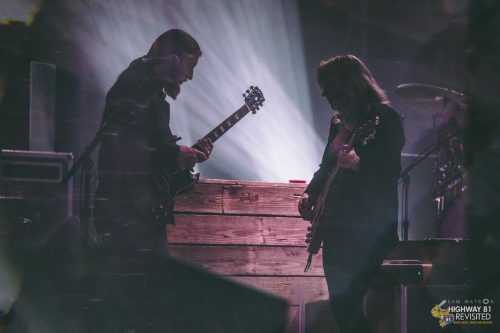 After playing what he thought would be the band’s final number of the night, Walsh got word from backstage that the band still had time for one or two songs.